From clay prep, to storage to products and management, gathered in this post are a few tips to help you with your own clayfobia so you may enjoy working with kids and clay. The more prepared you are beforehand, the more smoothly your lesson can go. 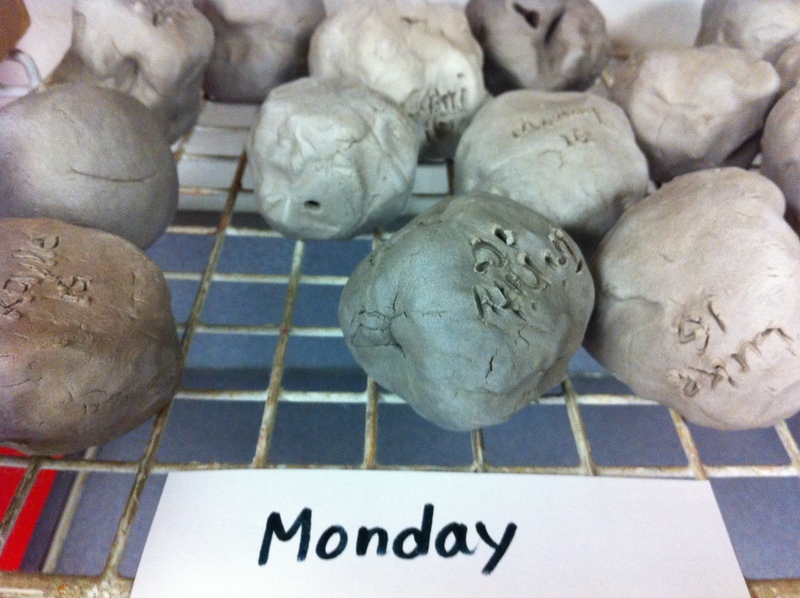 Prepping Clay Balls: Most projects require kids to start with a nice ball of clay. Especially the Kindergarten and 1st grade students, because most of them make pinch pots of some kind. 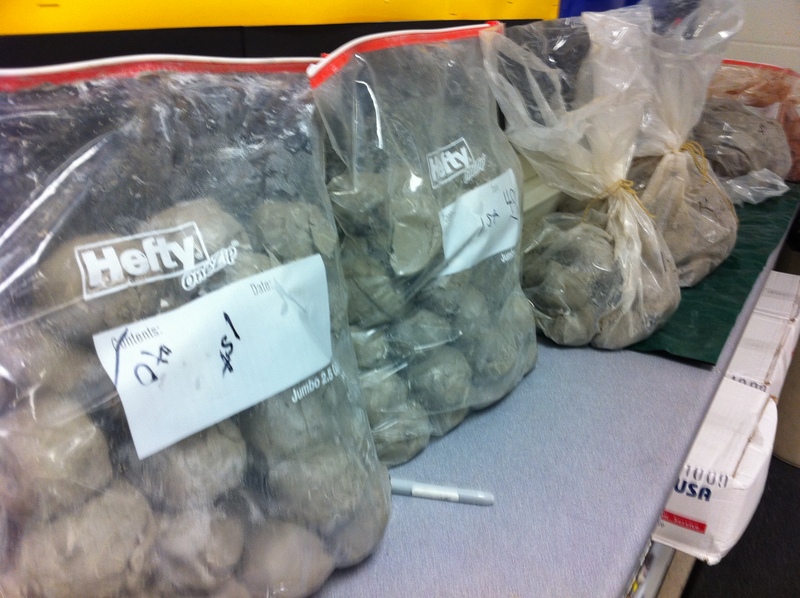 Roll clay into balls and put them in bags labeled with the number (usually a bag equals a class, but it can go any way you choose). Prepping Clay Slabs: Cutting slabs during your lesson can be a waste of time and cause mass chaos while children wait with nothing to do. Here, you can see that you can simply cut the slabs, put a sturdy plastic barrier between them, then cover them up and they are ready to hand out. 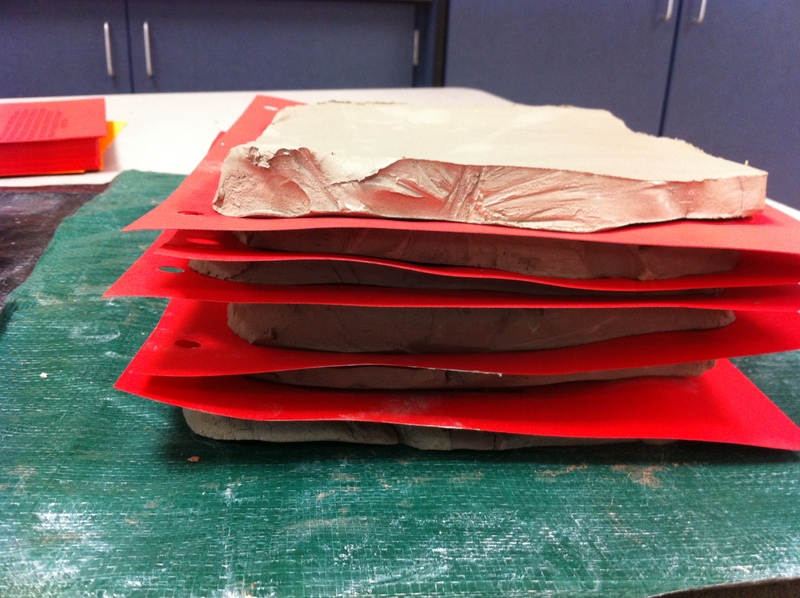 Do not use paper of any kind as it will absorb moisture and stick to the clay. 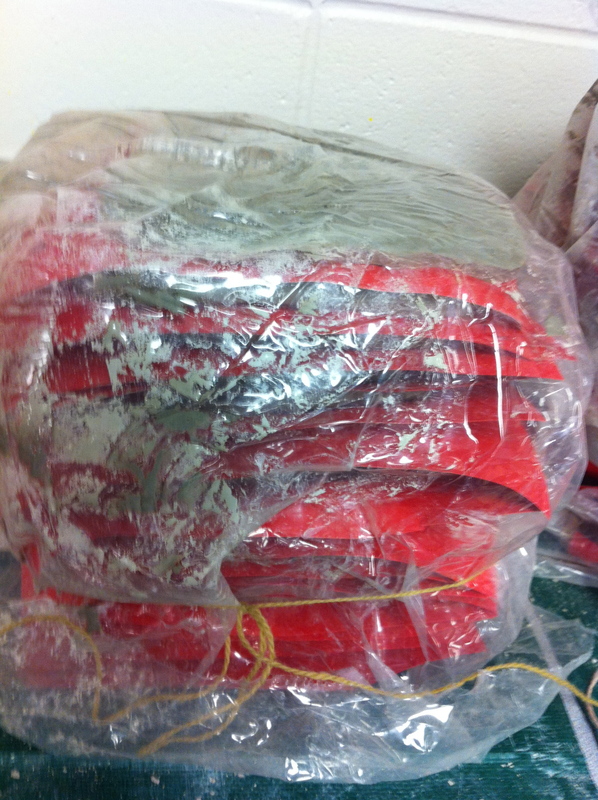 If you buy a tarp and cut it up into pieces, the plastic can be re-used many times. Clay needs to be stored in plastic, preferably out of the light. 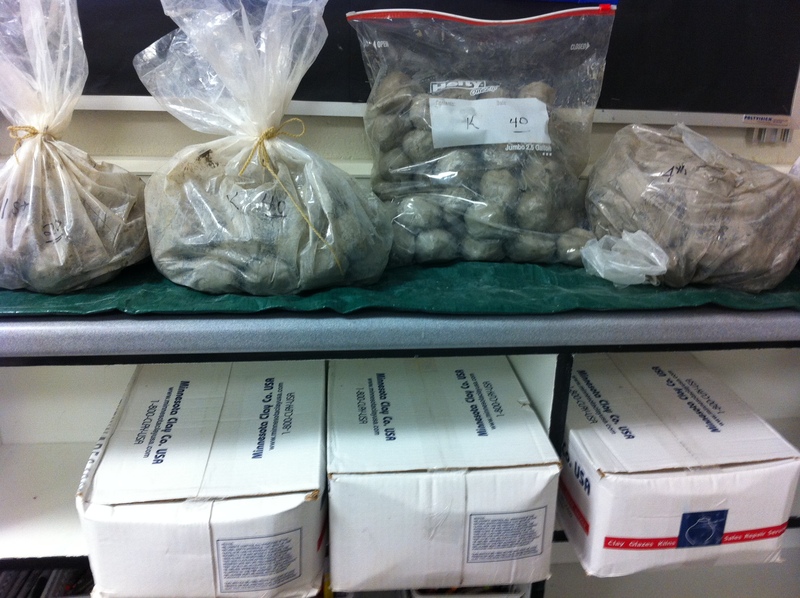 if you prep your clay in balls, using zip bags is great. The bag you bought your clay in, with the accompanying twist-tie is adequate. Keep it in the box, and they stack well. 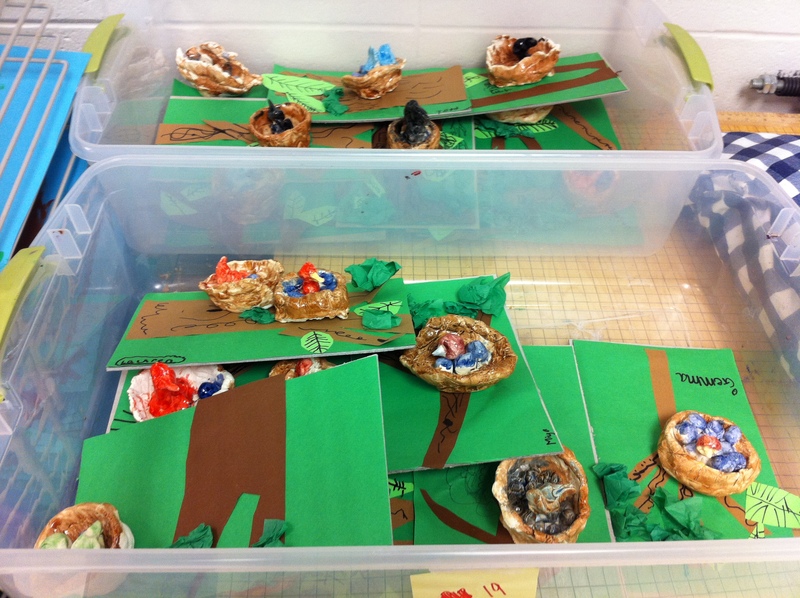 You may also choose to sort your clay by grade or class in plastic stacking bins. Get a Cart (or 2)! a cart can come in handy when storing clay, transporting completed pieces or unloading the kiln. 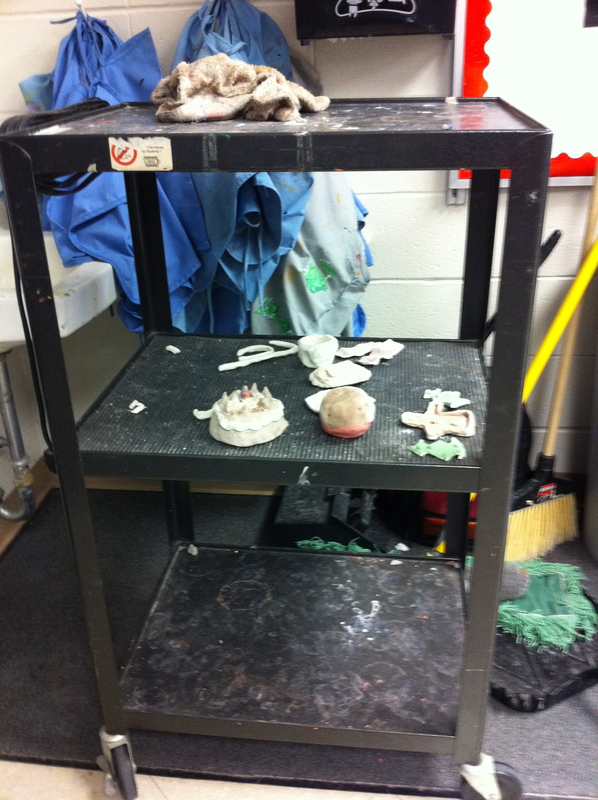 If you have more than one, use one cart to stow what is going in the kiln, and the other for what has come out . Carts with a lip on the edge of each level prevent nasty spills. Tubs, Totes and Drying Racks: Using extra storage devices to keep a classes’ work contained is can be a useful trick if you need to free up shelf space. 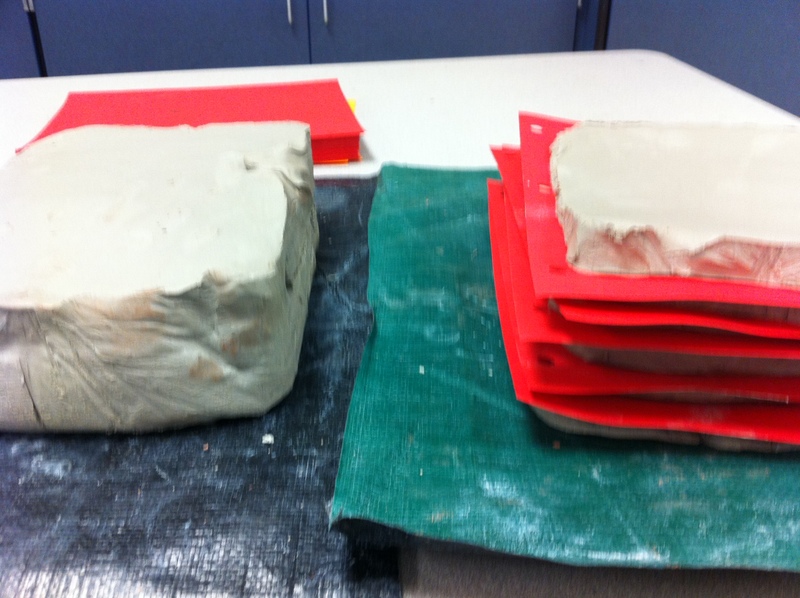 Use long flat totes to store a classes clay when it is finished. This can protect pieces from being jostled and broken if you need them out of the way and a class does not pick it up immediately. 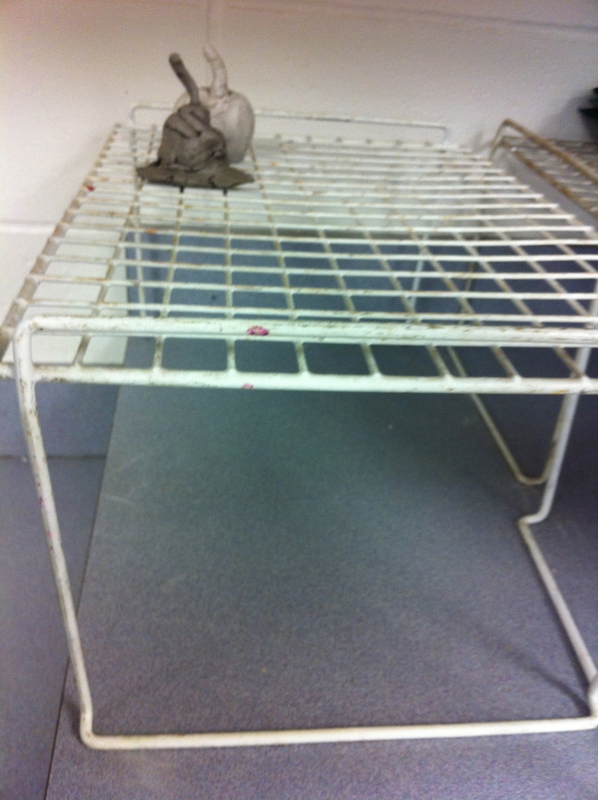 If you don’t have dedicated shelves, or if you want even drying, wire drying racks are a worthwhile purchase. They are stackable and move easily. Getting wet clay up off a solid shelf helps the thicker pieces dry faster and at a similar rate. While your projects are drying, you can label the area with the day of the week. This can help you know which grade and day it was made it. 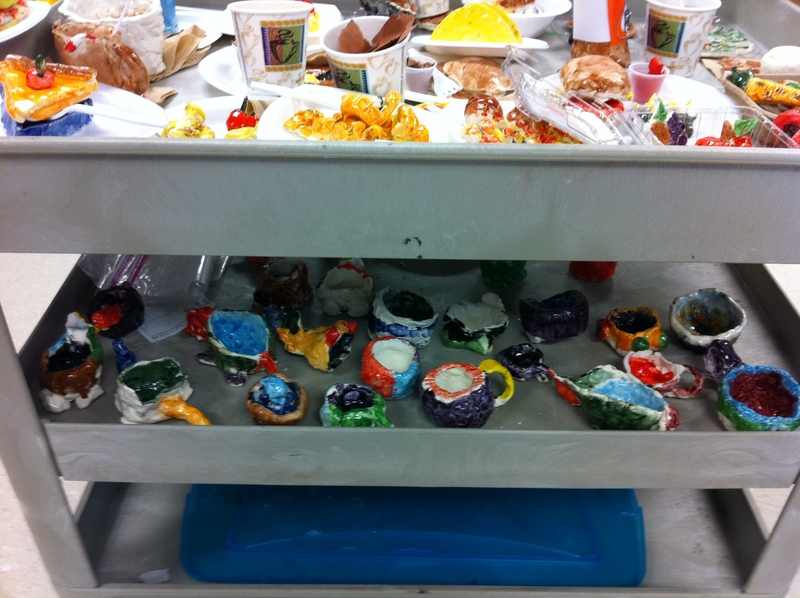 This will help you know what needs to go in first, so it’s ready for students when they follow up for glazing. You want to make sure the name of each child is legibly printed on the bottom. If students use initials, make a note of any kids who have similar ones on your roll and have them use additional identifying marks. You may even have the kids carve stamps at the beginning of the year. You may have to store projects in progress. 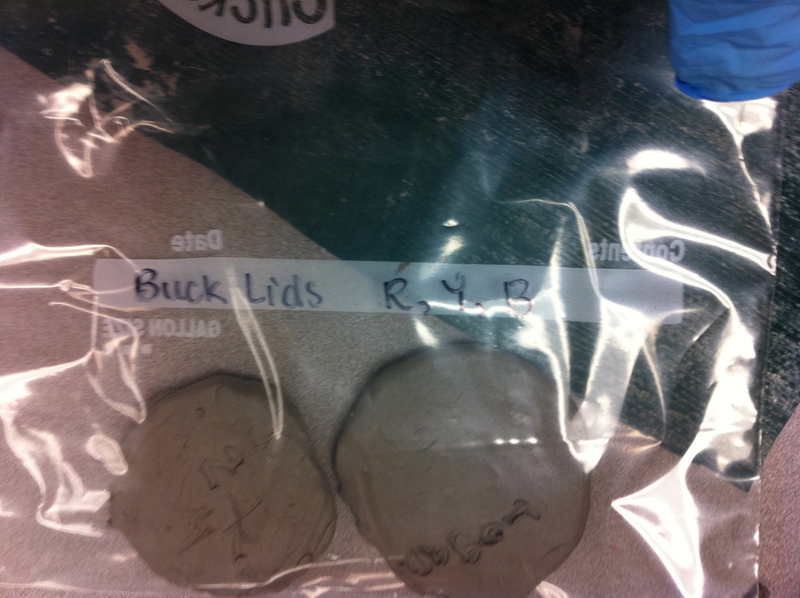 Use baggies and label them with the teachers name AND the student’s name. This makes passing it out a breeze and there is no fighting over clay or calling out names. These prep and working tips are just the tip of the iceberg…. if you have any additional handy tips you use, feel free to comment!